Welcome to a bespoke gourmet retreat for a gang of friends! 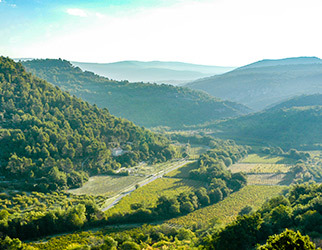 This will be an enchanted week with cycling, yoga, exploring and culture immersion in the charming lifestyle and sublime landscape of Provence. 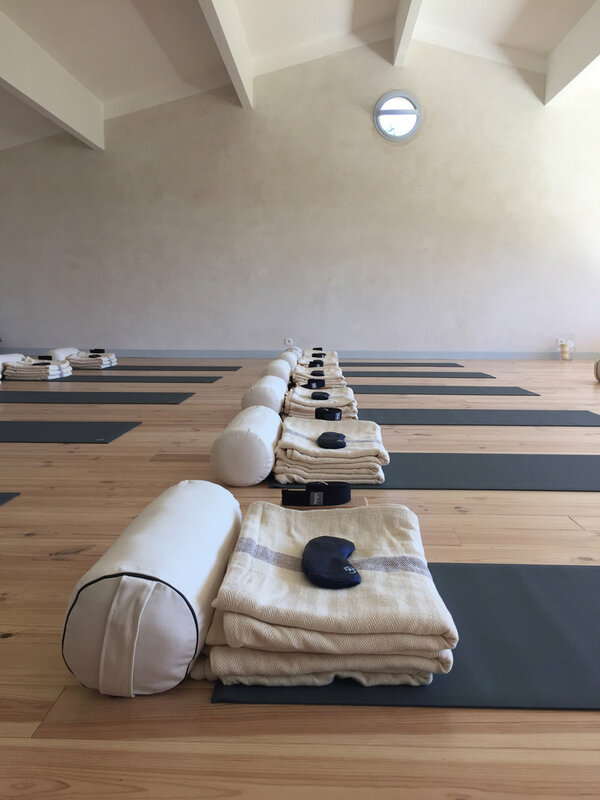 Daily yoga will open us to receive the offerings of the day, which include bike rides with great local guides on the most beautiful roads of Provence; exploring authentic villages and towns, ancient abbeys, roman ruins, markets, vineyards, wineries, and landscape. Foodie pursuits abound, with the option for cooking and tastings from the best of this rich culture. Not to mention – our private chef Angélique will spoil us daily, and our wines for the week will be specially chosen from the region's best wineries by local expert Philip Reddaway. We will settle into our beautiful private villa for the week, so you can slow down and savor like a local. Our home is a luxuriously-renovated Provençal manor (called a mas) on the 500-year-old family estate of Domaine Saint Jacques. The domaine has been in the same family since the 15th century, and its walls and pathways are rich with history. There is a beautiful 20-meter lap pool, a Steinway baby-grand piano, and even – a spacious yoga studio with a view! The house is decorated in Provencal family style. Each piece of furniture here has its own little history, and embodies the classy elegance amid nature that characterizes the region. The lovely bedrooms each have private, en-suite bathrooms. 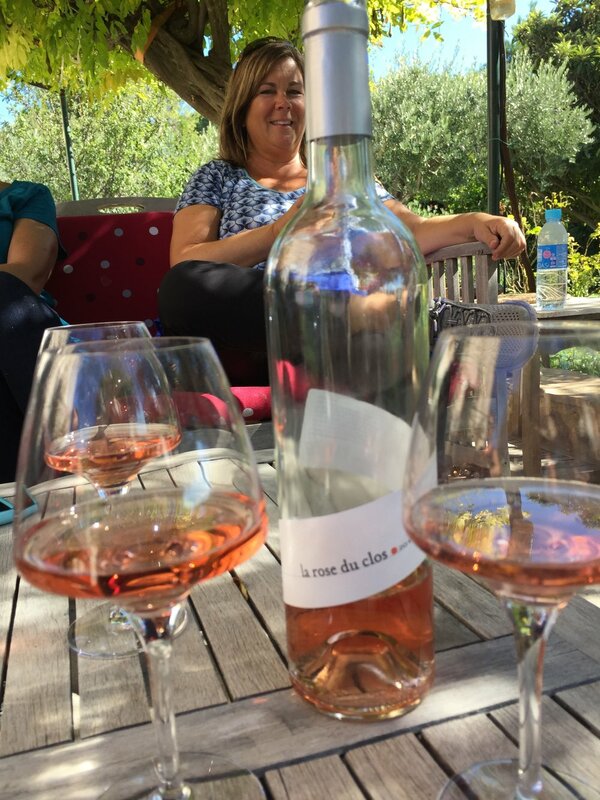 Set in 180 acres of private vineyards, oaks and pine trees at the southern foot of the Mont Ventoux this is the heart of genuine Provence. Authentic and far from the crowds of the usual tourist track, our only neighbor is a small Cistercian abbey! 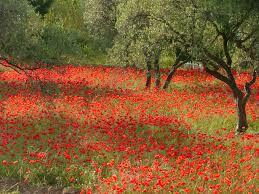 Being here has a magical way of renewing your vision of the simple beauty of life. You'll return with a rejuvenated sense of wellbeing. Our days begin with morning yoga followed by a delicious breakfast on the terrace. 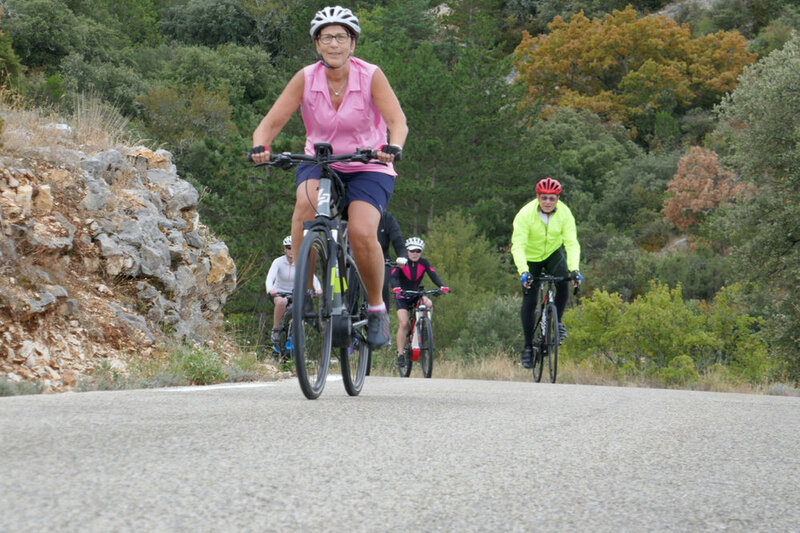 Three guided cycling tours are on the menu for three days of exploring the beautiful villages and scenic landscape that surrounds our country house. The area boasts scores of fantastic rides covering some of the most beautiful terrain in all of Provence. We’ll ride to an exceptional wine domaine, where the winemaker himself cooks our country lunch – offering a warm, personal connection to tradition. 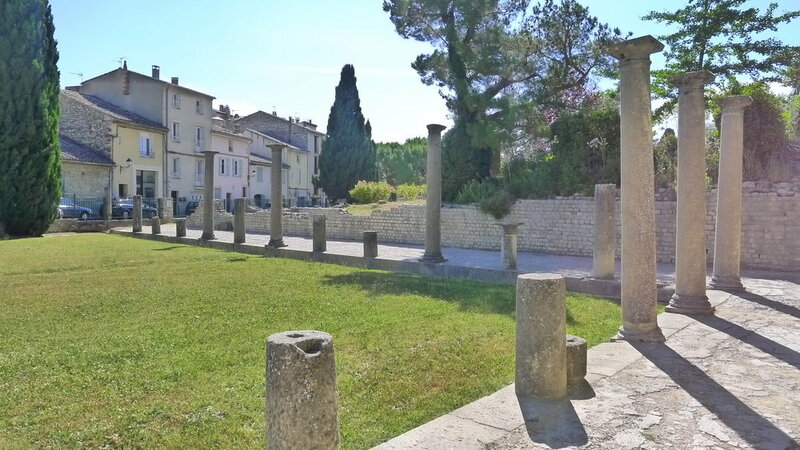 On other days we’ll explore farther afield to the chic towns of St. Remy de Provence, to walk in the footsteps of Van Gogh; to Uzès, the Pont du Gard – a UNESCO world-heritage site, and other gems, at our leisure. Our outings will incorporate lots of local culture, history, (and yes – boutiques and markets). All activities are optional. You are always invited to do as much or as little as you wish. Deep relaxation on the peaceful grounds of our estate, by the pool, or walking the surrounding paths can be a wonderful choice. On many afternoons we will enjoy a restorative yoga practice, for deep relaxation and integration of the day's activities. Every evening we'll linger over a fine aperitif on the terrace with local vintages, followed by a gourmet dinner. "Food is part of the spiritual expression of the French." Angélique's passion is the cooking of Provence. She is a professional chef with an award-winning cookbook (Gourmand World Award for best French cookbook), she made the final six in 2010 MasterChef, comes highly recommended – and I can't wait to taste her food! Angélique is a creative gourmet who loves pure and essential food exquisitely prepared from the freshest ingredients sourced from the local markets. She says her mission is "to take people on a culinary journey through the senses, that the table may be filled with joy and happiness." She and her chef-daughter will be running the kitchen, and we are in for a special treat to the flavors of Southern France. loving life on her e-bike! Hills are a walk in the park on an e-bike! Euphoric smiles after climbing to a hilltop village! note: if you enjoy the challenge of climbing hills (as long as you can go your own pace) and can train a bit, then get a road bike. If hills for you are just unrewarded pain, or you just want to take it easier and cruise: get an e-bike. Battery-powered pedal-assist. Yes, you still have to pedal and you still get great exercise. But you can get as much of a boost as you want, when you need it. Note: promise to wait-up for your guides! Comes in both men's and women's sizes. Recommended for riders who have time to prepare for 30-mile, moderately hilly rides, and are familiar with cycling. My 77-year-old mom had a blast touring Provence on one of these, and so did most of the gang the last Provence trip. Yes, you still get a workout to warrant a bon apetit! 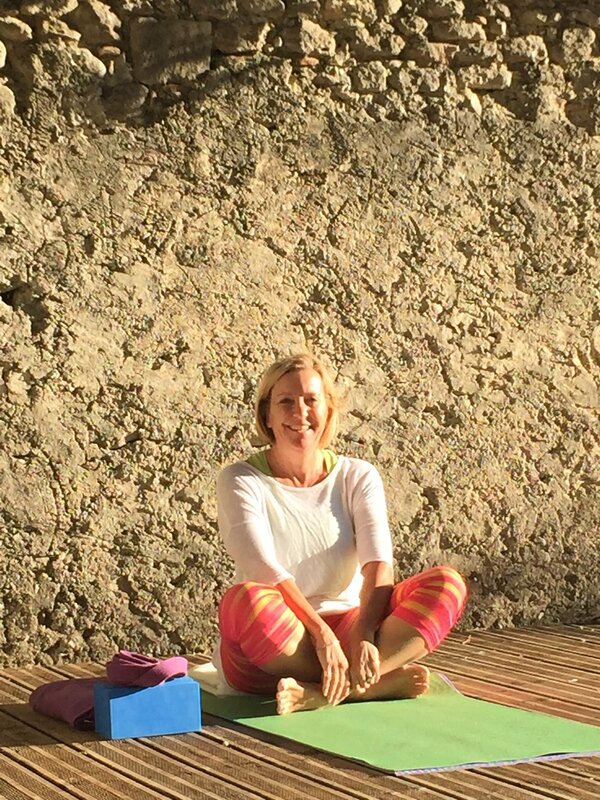 Morning yoga sessions will awaken and energize, with clear alignment instruction for all levels. We'll develop mindful awareness for focus and clarity, and enjoy the present moment while building stability and strength with integrated, functional movement and breath. Our purpose will be to support our greatest vitality as our bodies change and we progress on the path of life. Yoga mats and all props are provided. Includes Just About Everything. This is a private, bespoke retreat, structured so you will have a wonderful experience with great ease. • 7 nights accommodation in a luxurious, ancient country estate. Lovely, spacious bedrooms, all with private bath. 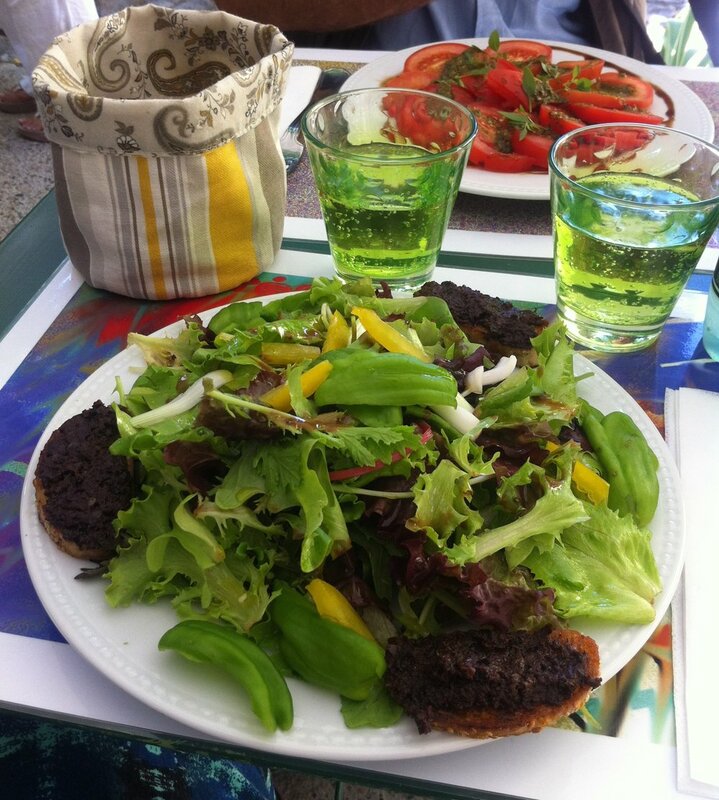 • All sumptuous, gourmet meals for the week, except for two lunches out to enjoy on your own. Most of our meals will be prepared at the villa by our live-in chef, a couple will be in hand-picked local restaurants and at a wine domaine. • Exquisite Wines each evening specially selected by a local expert from the all over the area’s excellent domaines. • Daily Yoga sessions. All yoga equipment provided. • Daily guided bike rides and excursions to villages, abbeys, sites, cultural explorations. 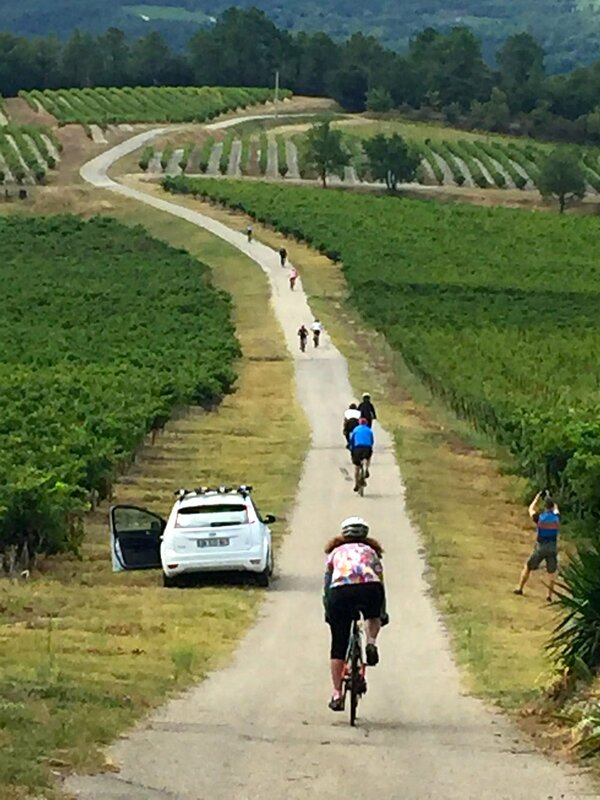 • Two Professional Cycling Guides and a Support car will accompany our cycling trips, providing mechanical assistance, safety, and lots of local knowledge to our ride days. • Vineyard visit, with wonderful local wine-maker (off-the-beaten-track and richly authentic). • Taste, Sip, Savor, and Indulge in one of the world’s most luscious and artful culinary traditions – from olive oil, cheese, and wines to foraged delights from farm and forest. Delight all your senses and learn from the local experts. *not included in retreat price: airfare to Paris, train to Avignon, transfer to villa, 2 lunches. Please register by clicking the "Sign Me Up" button below. Merci. Our group is limited to 10 guests. Your $500 deposit per person is due upon registration. The remaining balance is due 90 days before start of the retreat: on or by February 19. Payment methods are detailed on booking form. To view, click the sign-up button below.